The service held on the Isle of Islay marks the Centenary of the loss of the SS TUSCANIA and HMS OTRANTO, which claimed the lives of 700 US servicemen and British crew members. 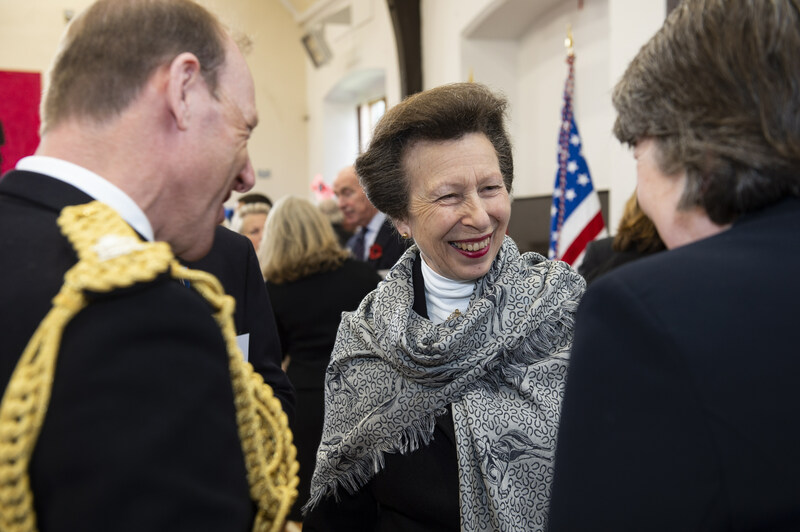 Today The Princess Royal attended the WW100 Scotland National Day of Remembrance service at the Port Ellen War Memorial on the Isle of Islay off the west coast of Scotland. The service which marks the Centenary of the loss of the SS TUSCANIA and HMS OTRANTO, where around 700 US servicemen and British crew members lose their lives. Over 200 Islay and Jura men died during World War One. 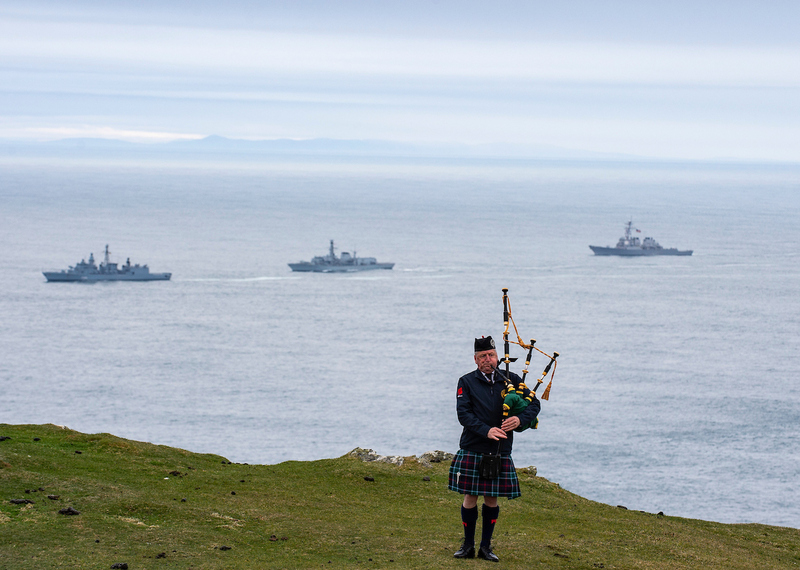 Representatives from the U.K, U.S.A., France and Germany gathered together on the Isle of Islay today, to remember the island’s contribution to World War One and the loss of two British troop ships carrying American soldiers to fight alongside the Allies. At the service, local schoolchildren from Bowmore, Keills, Port Charlotte and Port Ellen Primary Schools and Islay High School, paraded through Port Ellen, led by the Islay Pipe Band, with flags representing the 42 States who lost men in the sinkings of the TUSCANIA and OTRANTO. 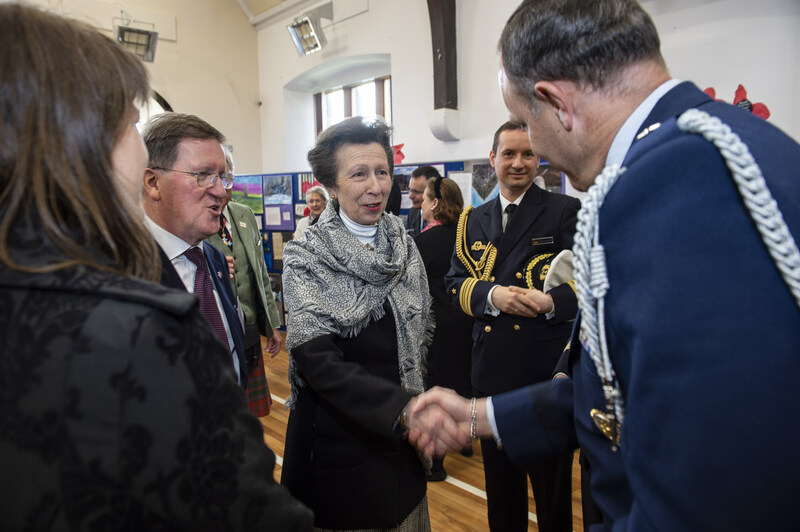 The Princess Royal was accompanied by Vice Admiral Sir Timothy Laurence, the Vice Chairman of the Commonwealth War Graves Commission. Over 200 Islay and Jura men died during World War One.